This Swiss have manufactured another great timepiece. 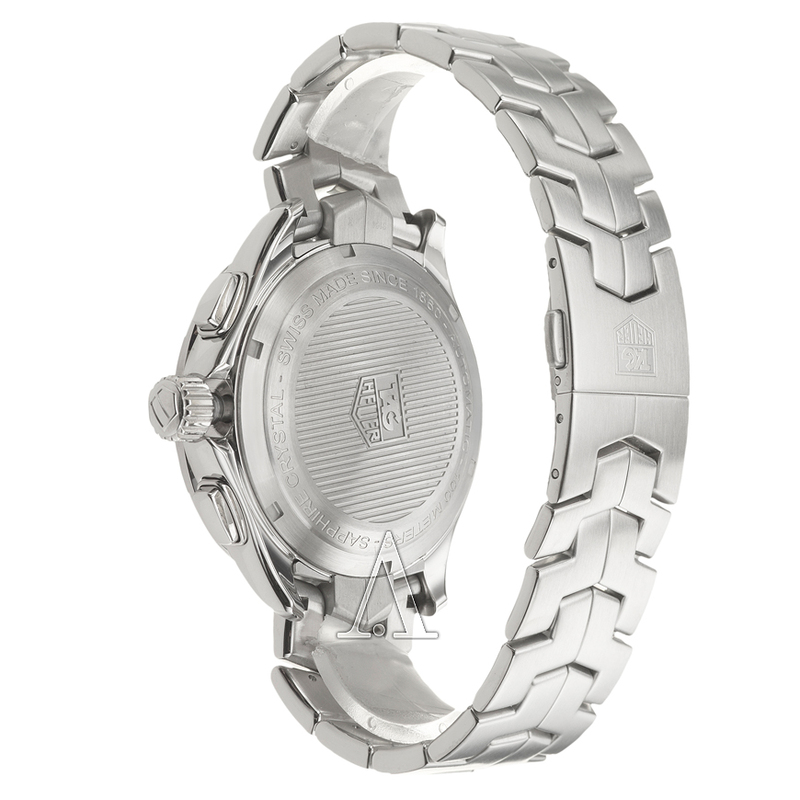 With its 16mm thick case and 21mm wide band, this TAG Heuer makes its presence known. This watch’s signature S-shaped bracelet features a fold over clasp with double push-button safety makes it easy to put on yet relieves you of the tragedy of losing it. The sapphire crystal makes common scratches a thing of the past with its ability to be unaffected by anything other than a diamond. Because it is water resistant up to 100m, there’s no need to worry about water damage either, given that you keep up with its yearly maintenance. Inside and strap view of the Link Calibre 16 Watch. 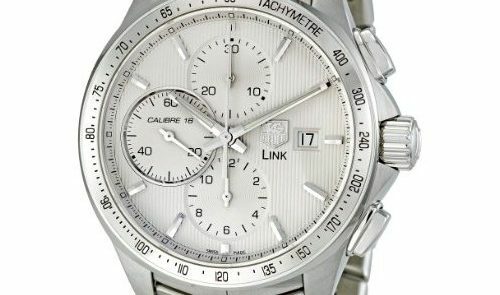 This TAG Heuer Link model gives you the ability to measure up to 12 hours with the precision of 1/8 of a second. These automatic chronographs allow for measuring simple time and additional time. It also features a tachymeter scale, which gives you the average speed of a car by measuring the time against a specific distance. It is amazing how this Link can fit all these functions on your wrist. 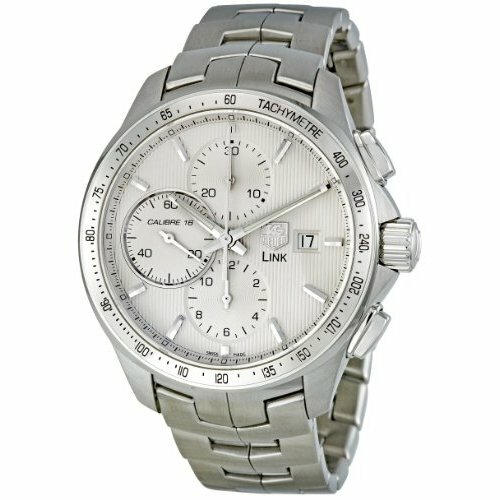 I was able to find the Link Calibre 16 Chronograph 43mm CAT2011.BA0952 model for as cheap as $2,850. In the realm of high-end watches, this is extremely reasonable. It is versatile in the manner that it can be worn with slacks or jeans. With this TAG Heuer you’re getting numerous functions all in a reliable and user-friendly timepiece. Though it may look delicate, it is sturdy enough to wear everyday in practically any activity. This resolves the problem of having to purchase different watches for different events or outfits. It is definitely worth the price. One item omitted is it keeps time really well. Practically, ti.e doesn’t require adjustments for couple of months, rear quality for a mechanical watch. I purchased one of these which I was very disappointed with! The watch keeps very poor time and gains 90 seconds a week. I sent the watch back for repair and after nearly 2 months the watch was returned to me with assurances that the watch is now perfect and has been checked as well as monitored by a tag technician!! I decided to monitor the time for my own piece of mind and within 36 hours the watch had gained 30 seconds. I have contacted D M Robinson yet again with my complaint and tag with no luck or help! Before buying any watch find out if there is an allowable allowance of time the watch can be out by! £2200 is a lot of money for a watch that cannot keep the correct time.